In case you’ve missed my tweets, Instagram stories, and blog posts: I’m getting married! By the time of our wedding this summer, Ken and I will have been together for seven and a half years, and I’m so flipping excited to tie the knot. I love him so much it’s low-key gross. To stop my friends from dying from mush overload, I’m trying to contain a lot of my wedding-related happiness and ideas, and only dole them out in small doses. This is why I feel so lucky to have found Lovely Weddings: it’s rare to find a wedding vendor who feels like a best friend through the wedding planning process, who never gets sick of your ideas or excitement (and will jump up and down with you when needed). Especially for an international bride like me, whose friends are scattered around the world, they’re a godsend. 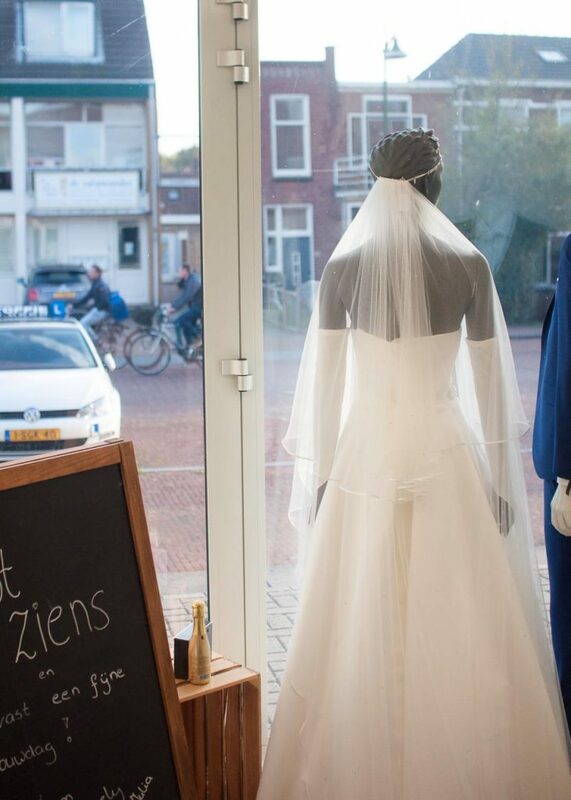 I heard of Lovely Weddings, a full-service bridal boutique in the Dutch city of Alphen aan de Rijn, through a friend of theirs last year. When I told this friend (okay, okay, she was a physical therapist) that I felt overwhelmed by the wedding-planning process, she suggested I check them out because of their wedding planning services. 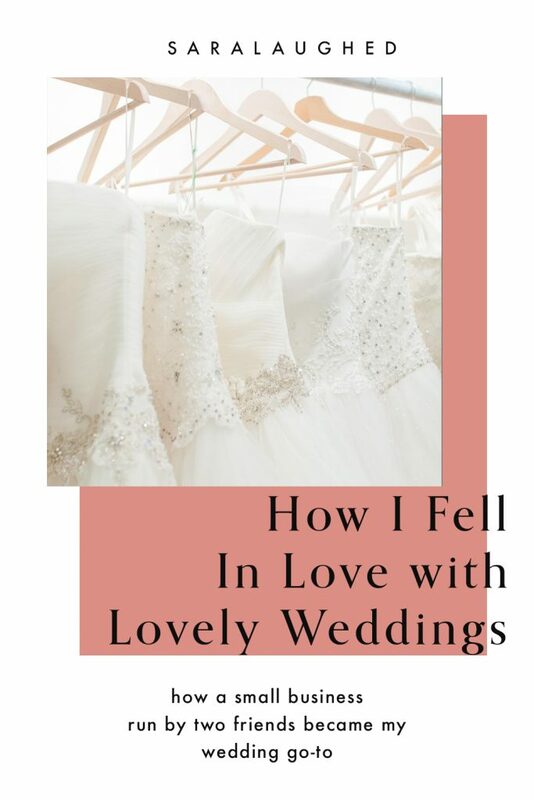 After a get-to-know-you meeting at Lovely Weddings chat about their packages, I knew that when Maya and I went wedding dress shopping last June, it was where I wanted to find my dress. The owners, Kirsten and Dana, made me feel like a close friend. Their passion for their work and love for their clients shines through: I could tell they were almost as excited about the wedding and the dress as I was. When Maya and I went shopping for dresses, they closed the shop down for us so we were the only clients there, and we had Kirsten and Dana’s full attention. 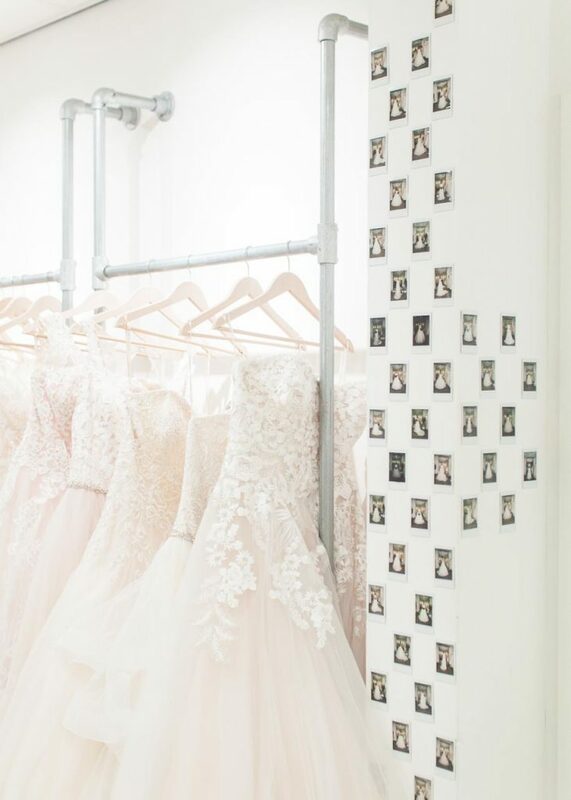 We had champagne and cupcakes, and Kirsten and Dana let us look around at all the dresses and choose as many as we wanted to try on, helping guide us according to our budget specifications. Dana helped me try on dresses while Kirsten chatted with Maya and her mom. I’d been really nervous beforehand about finding plus-sized options, but they made me feel totally comfortable and helped me try on every dress we liked. Their sample sizes are closer to a US size 10 than the usual 4/6 sample size, so even though they didn’t zip up on me, I could try everything on and I didn’t feel self-conscious at all. In the end, I fell in love with two dresses, and had a hard time choosing between them. Kirsten and Dana asked questions to help me figure out which one I liked more, and when I started crying in the dress I ultimately chose, they were so sweet and excited for me. Dana did a special ‘say yes to the dress’ bit for me, and it all felt a little like magic. I couldn’t have had a better dress-shopping experience. Since that appointment, I’ve been looking forward to my first fitting for months. Ken and I decided not to hire a wedding planner, but for everything that we are doing that Lovely Weddings offers — hair and makeup services, day-of venue styling and hiring master of ceremony — we’re going with them, because they really do feel like friends. Every time I call, Kirsten and Dana are so kind and cheerful, and I couldn’t be more excited to have them be a part of Ken’s and my wedding. Today was my fitting appointment for my dress, and Kirsten was able to turn an at-best-boring, at-worst-uncomfortable experience (being measured) into a fun afternoon. We chatted about the wedding, the website, and some photos I brought in, and I left feeling happy and excited for the coming year. I know that the months leading to Ken’s and my wedding will whir by, and I’m happy to have a team like Kirsten and Dana in my corner to make sure we get hitched without a hitch! Lovely Weddings sounds like a wonderful shop! It sounds like they offer a lot of nice services too. It is always so much more fun when vendors become friends! 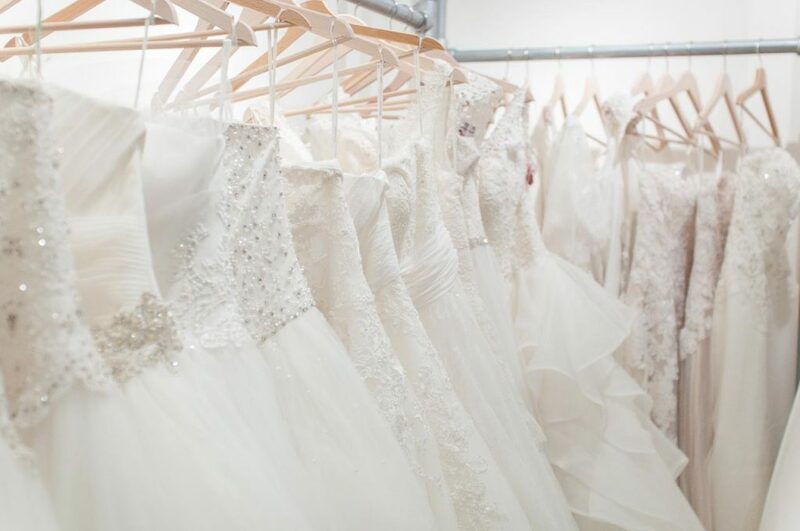 Lovely Weddings sounds absolutely perfect This makes me miss wedding dress shopping! Congratulations on your engagement and I can’t wait to see which dress you decided on! ahh such an exciting time!! I’m so happy you found a great team to support you through the process! it goes so fast and there are so many decisions! I can’t wait to see al the pictures from the big day!! 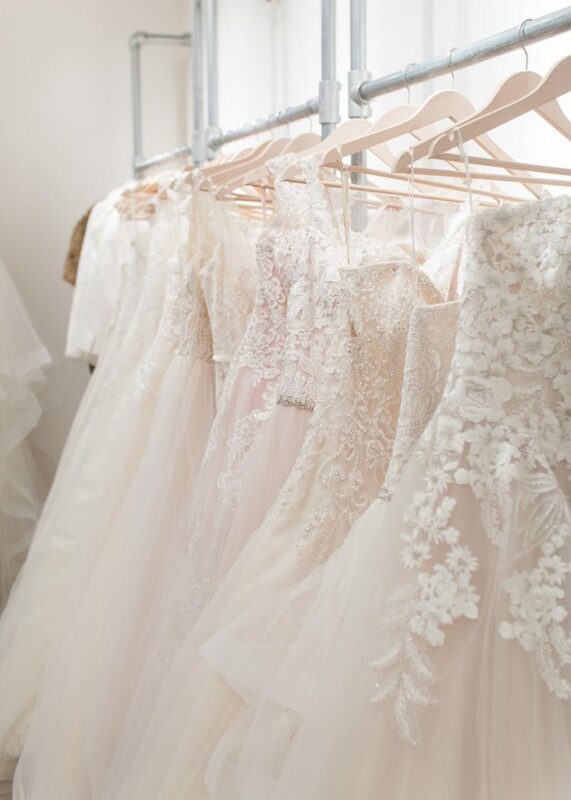 And which dress you chose of course! Congrats on your engagement and finding the dress! It’s always so special to find companies like this who can treat you like a friend and not just a client.